Yamazaki - The Ikea of Japan for Affordable Organization | Valet. When it comes to sleek, minimal and functional design, who does it better than the Japanese? Yamazaki is considered the Ikea of Japan—but it seems cooler. And smarter. Founded as a family business more than 100 years ago, the brand's mission is to neatly declutter your home (and life) via thoughtfully-designed furnishings that don't cost a lot but are built to last. Huckberry recently scored a tidy selection and managed to offer them with discount. We've pulled together our favorite pieces. So go ahead, and start getting your life in order. This sleek three-section organizer is essentially a free-standing closet. Made of sturdy steel and wood, it holds a decent amount of clothes on two tiers with a smart, space-saving design. The bottom also corrals shoes to keep them out of the way. No room for an entry table? Try this handy caddy that can mount to a wall or stick to any metal surface—from the side of your fridge to a metal entry door. 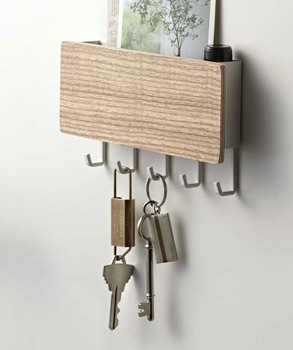 Its slim profile keeps it out of the way, but the cubby shelf stores mail and other odds and ends while five hooks keep keys, dog leashes and umbrellas at hand. 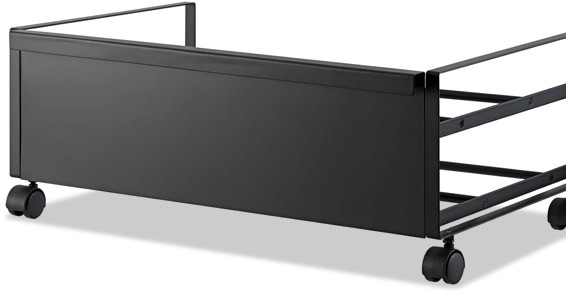 Dubbed the "Shoe Wagon," this rolling steel rack sits atop durable caster wheels. Which means it gets your shoes off the floor and out of view of guests. Slip it under an entry bench, in your closet or under your bed. 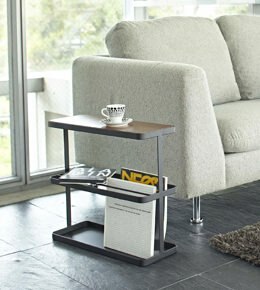 Slip this slim combination end table and magazine holder between two chairs or on the side of your sofa. It will keep books and magazines organized and at hand but also has a shelf for remotes and other essentials. 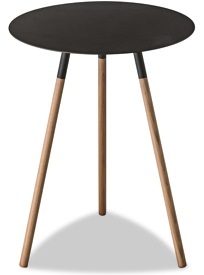 Stylish in its understated simplicity, this side table mixes dark wood with black steel. 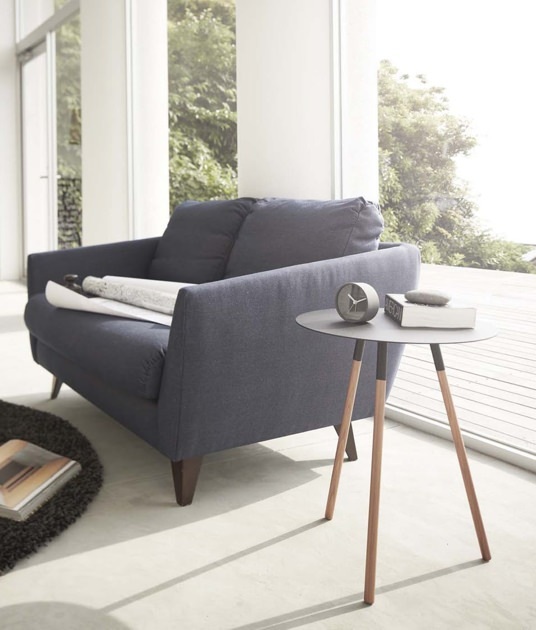 At nearly 16 inches in diameter, it tucks neatly next to a sofa, chair or could even double as a nightstand. You may not know the title, but you've heard of this book. It blew up last year and spent nearly 90 weeks on the New York Times best seller list. Japanese cleaning consultant Marie Kondo takes readers step-by-step through her revolutionary KonMari Method for simplifying, organizing, and storing. 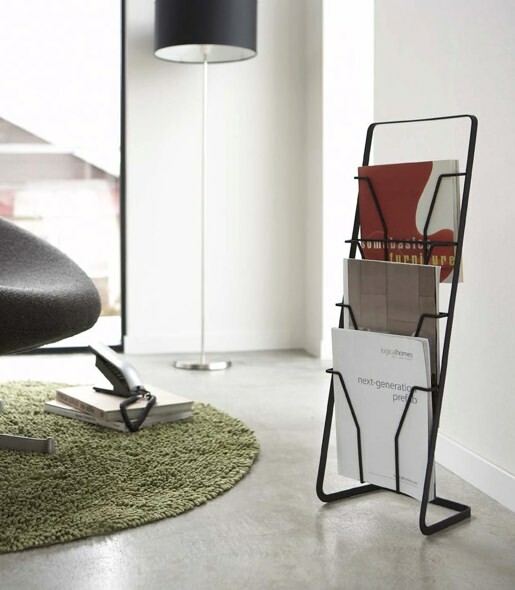 Simple and sleek, this vertical rack neatly stores and displays vinyl records (or magazines) with four levels of ample storage. Versatile, affordable and full of possibilities.